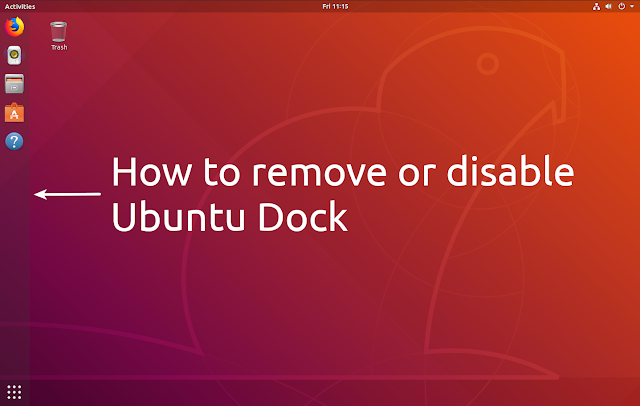 If you want to replace the Ubuntu Dock in Ubuntu 18.04 with some other dock (like Plank dock for example) or panel, and you want to remove or disable the Ubuntu Dock, here's what you can do and how. Ubuntu Dock - the bar on the left-hand side of the screen which can be used to pin applications and access installed applications - can't be disabled using Gnome Tweaks (disabling it does nothing) when using the default ubuntu session, but there are a few ways you can get rid of it if you need this. 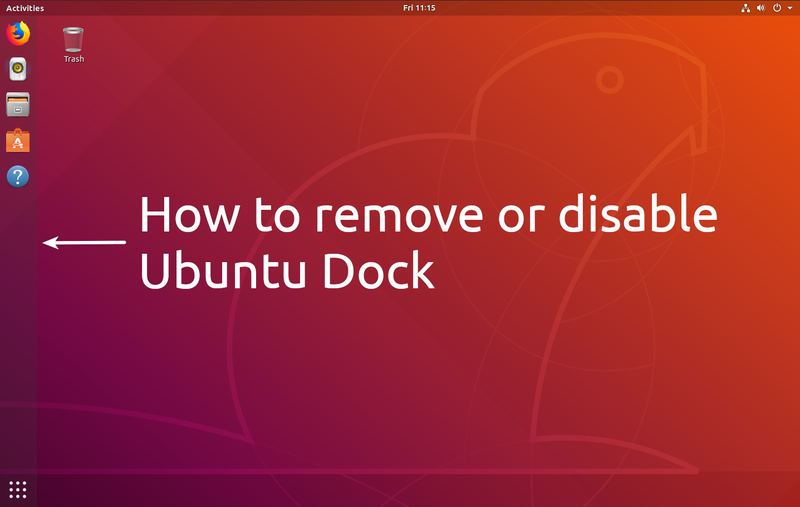 Below I'll list 4 ways you can remove or disable Ubuntu Dock, as well as the drawbacks (if any) of each option, and how to undo the changes for each option. The article also includes alternative ways to access the Activities Overview / list of installed applications without Ubuntu Dock. Without Ubuntu Dock, you may have no way of accessing the Activities / installed application list (which can be accessed from Ubuntu Dock by clicking on Show Applications button at the bottom of the dock). For example if you want to use Plank dock. Obviously, that's not the case if you install Dash to Panel extension to use it instead Ubuntu Dock, because Dash to Panel provides a button to access the Activities Overview / installed applications. Depending on what you plan to use instead of Ubuntu Dock, if there's no way of accessing the Activities Overview, you can enable the Activities Overview Hot Corner option and simply move your mouse to the upper left corner of the screen to open the Activities. Another way of accessing the installed application list is using a keyboard shortcut: Super + A. Below you'll find 4 ways of getting rid of Ubuntu Dock which work in Ubuntu 18.04. Option 1: Remove the Gnome Shell Ubuntu Dock package. The easiest way of getting rid of the Ubuntu Dock is to remove the package. This completely removes the Ubuntu Dock extension from your system, but it also removes the ubuntu-desktop meta package. There's no immediate issue if you remove the ubuntu-desktop meta package because does nothing by itself. The ubuntu-meta package depends on a large number of packages which make up the Ubuntu Desktop. Its dependencies won't be removed and nothing will break. The issue is that if you want to upgrade to a newer Ubuntu version, any new ubuntu-desktop dependencies won't be installed. As a way around this, you can simply install the ubuntu-desktop meta package before upgrading to a newer Ubuntu version (for example if you want to upgrade from Ubuntu 18.04 to 18.10). Option 2: Install and use the vanilla Gnome session instead of the default Ubuntu session. Another way to get rid of Ubuntu Dock is to install and use the vanilla Gnome session. Installing the vanilla Gnome session will also install other packages this session depends on, like Gnome Documents, Maps, Music, Contacts, Photos, Tracker and more. 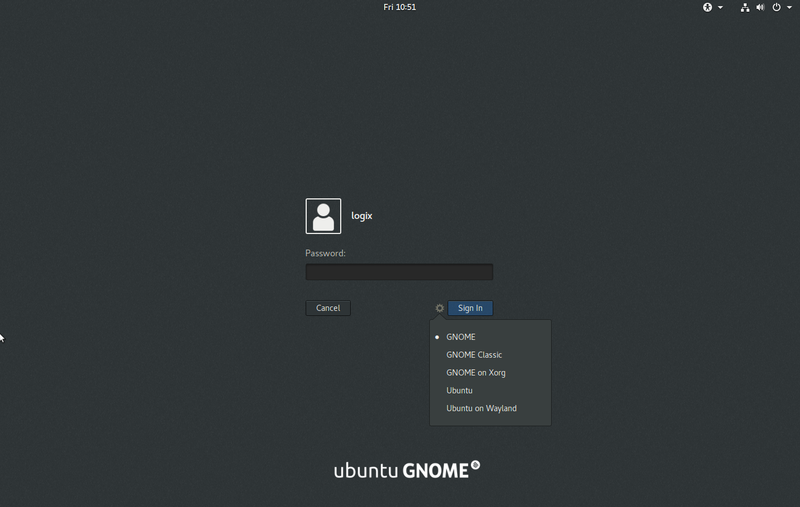 By installing the vanilla Gnome session, you'll also get the default Gnome GDM login / lock screen theme instead of the Ubuntu defaults as well as Adwaita Gtk theme and icons. You can easily change the Gtk and icon theme though, by using the Gnome Tweaks application. Furthermore, the AppIndicators extension will be disabled by default (so applications that make use of the AppIndicators tray won't show up on the top panel), but you can enable this by using Gnome Tweaks (under Extensions, enable the Ubuntu appindicators extension). In the same way, you can also enable or disable Ubuntu Dock from the vanilla Gnome session, which is not possible if you use the Ubuntu session (disabling Ubuntu Dock from Gnome Tweaks when using the Ubuntu session does nothing). If you don't want to install these extra packages required by the vanilla Gnome session, this option of removing Ubuntu Dock is not for you so check out the other options. Then reboot and select Ubuntu in the same way, from the GDM login screen. Option 3: Permanently hide the Ubuntu Dock from your desktop instead of removing it. If you prefer to permanently hide the Ubuntu Dock from showing up on your desktop instead of uninstalling it or using the vanilla Gnome session, you can easily do this using Dconf Editor. The drawback to this is that Ubuntu Dock will still use some system resources even though you're not using in on your desktop, but you'll also be able to easily revert this without installing or removing any packages. Ubuntu Dock is only hidden from your desktop though. When you go in overlay mode (Activities), you'll still see and be able to use Ubuntu Dock from there. To permanently hide Ubuntu Dock, use Dconf Editor to navigate to /org/gnome/shell/extensions/dash-to-dock and disable (set them to false) the following options: autohide, dock-fixed and intellihide. Option 4: Use Dash to Panel extension. Dash to Panel is a highly configurable panel for Gnome Shell, and a great replacement for Ubuntu Dock / Dash to Dock (Ubuntu Dock is forked from Dash to Dock). Installing and enabling the Dash to Panel extension disables Ubuntu Dock so there's nothing else you need to do. You can install Dash to Panel from extensions.gnome.org. If you change your mind and you want Ubuntu Dock back, you can either disable Dash to Panel by using Gnome Tweaks app, or completely remove Dash to Panel by clicking the X button next to it from here: https://extensions.gnome.org/local/.